Sharing Love Message on Social Media. 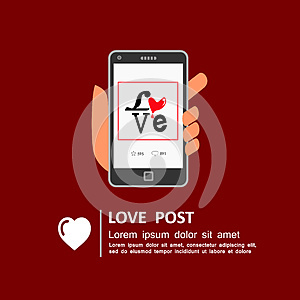 Hand holding smart phone with trending love message on screen - love. Hand holding smartphone with trending love message on screen. This illustration is perfect for magazine, blog articles or powerpoint presentation about trending images, love and Valentine celebration.